In FY 2016-17, the Library began its planning process to renovate the Chinatown, Mission, and Ocean View branch libraries with a feasibility study to provide an initial needs assessment. The completed feasibility study recommended a phased renovation program beginning with the Mission branch library, given the building’s systems are at the end of their service life. The study also recommended additional exploration of project scope for Chinatown and Ocean View branch libraries through community meetings. As such, the Library’s FY 2018-19 budget includes monies to fully fund the Mission branch library renovation at an estimated $19.8 million. The next step in the Mission renovation will be to engage the community in a service needs assessment and design development, incorporating user-experience analysis into the project. 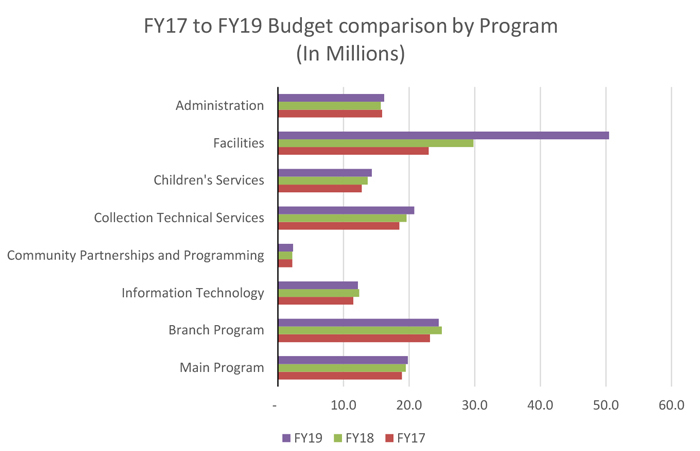 The FY 2019-20 budget allocates $3.8 million to continue scoping and design efforts to further develop the budgets for the Chinatown and Ocean View branch library projects. The modernization of the Library’s collection management system to radio frequency identification technology (RFID) will enhance patron experience by improving how library materials move throughout the system so that collections will be shelved faster and holds will arrive at patrons’ branches sooner. Patrons will also enjoy a quicker checkout process as they will be able to scan multiple items simultaneously. In addition, with RFID the Library will capture operational efficiencies, freeing up staffing capacity for more direct public service. With the full implementation of RFID by 2020 the Library will join 75 percent of Bay Area libraries that use RFID technology. 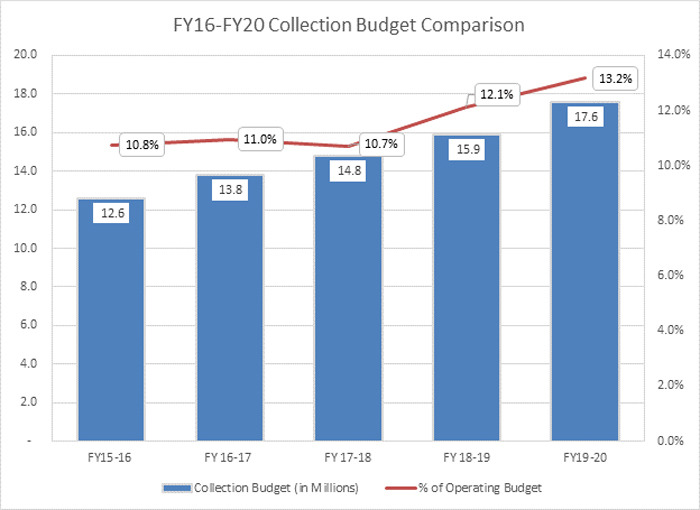 The Library commits approximately 12 percent of its operating budget each fiscal year to collections in various formats and multiple languages to support our diverse community. Enhancements are responsive to usage data and community requests. The Library’s digital strategy priority focuses on ensuring public access to technology and the Internet. 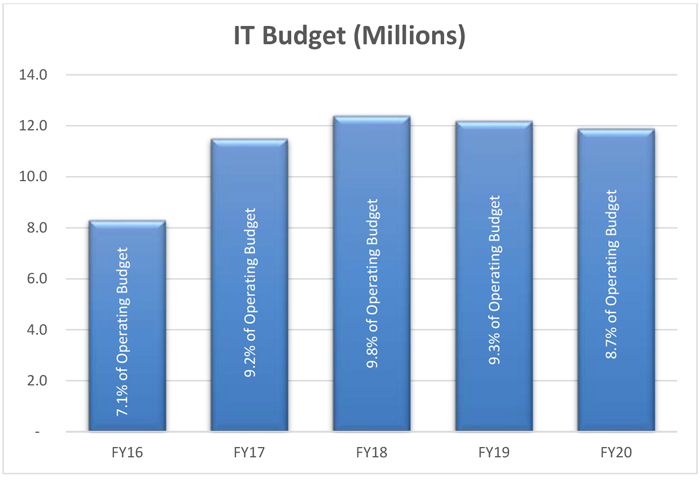 In FY 2017-18 the Library introduced the Tech’d Out program that allows patrons to check out a laptop and mobile hotspot (MiFi device) for three weeks. The proposed budget expands on the Tech’d Out program by funding an additional 170 MiFi devices and Internet services for the public, helping address access and bridge the digital divide. Starting in mid-June 2017 the Library added 85 weekly hours to the system, allowing all public libraries to be open seven days per week, improving access for citizens. With all the extra hours, there is increased opportunity to meet community demands for programming. 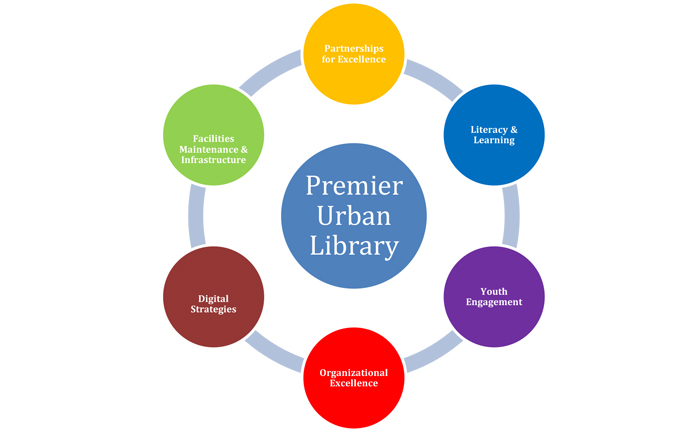 In response to growing demand, the Library built $75,000 into its budget for systemwide programming and $100,000 to create learning and work experience pathways for youth. The City’s continued investment in a strong library system ensures that San Franciscans not only have equal access to information, but also free educational and recreational opportunities that make San Francisco a more affordable place to live.